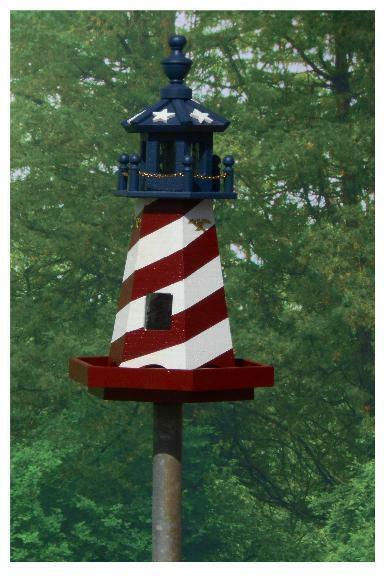 This wonderful bird feeder lighthouse brings the best of land, sea, and air to all of your garden's guests! With a perfect spot for birds to grab a snack and miles of beautiful details that make this lighthouse a wonderful spot for the birds to rest. Choose from the colors above to make this lighthouse truly your own. If you've any questions at all, please don't hesitate to get in touch - we could talk about this stunning lighthouse feeder all day.